Heraldry: A Case of Mistaken Identity? So there I was, working on my presentation about the arms of the United States of America and cruising around the internet looking for examples of their use and, working for lawyers like I do, I thought of the many divisions of the United States District Courts around the country. Now, these courts are, as you could reasonably assume from their names, a part of the United States, that is to say, the federal, judiciary system. They are, as Wikipedia notes, “the general trial courts of the United States federal court system.” That is to say, they are not your basic local or even state courts. The U.S. District Courts, of which there may be as few as one or as many as four in each state (for example, in the State of Texas there are four U.S. District Court divisions: the Northern District, the Eastern District, the Southern District, and the Western District, each of which may have branches in more than one city), are subordinate to the nine United States Circuit Courts of Appeal, which in turn are subordinate to the Supreme Court of the United States. It is true that in cases which are originally filed in a state court which have a federal or constitutional question may be removed to, or appealed to, the appropriate U.S. District Court. But they are a part of the federal system, and not a part of any state judicial system. All that said as a very brief background, in perusing the websites of a number of U.S. District Courts, I found that they use – as they should – the arms of the United States (some in monochrome, some in color), or some other appropriate insignia of their federal jurisdiction, such as the flag of the U.S. or white stars on a blue and red background and so on, or no such insignia at all. Below are two such examples from the United States District Courts for the Northern and Western Districts of Oklahoma (the state just to the immediate north of Texas where I live). The use of the arms of the U.S. in the Northern District is fairly typical of that use in many of the U.S. District Courts that I saw. And while it’s a less common usage, I really like the placement of the achievement of arms of the U.S. on an outline of the State of Oklahoma as used by the Western District, combining as it does their federal jurisdiction and their physical location in the State of Oklahoma. But I found an exception to those uses of the arms of the United States. The website of the United States District Court for the Eastern District of Oklahoma uses the Great Seal of the … wait for it … State of Oklahoma. They are using the official emblem of an entity of which they are not a subdivision. Yes, they are physically located in the State of Oklahoma, but they are not a part of the State of Oklahoma. (The State has its own district courts, 77 of them according to Wikipedia, which may, and probably do, use the Great Seal of the State as appropriate.) 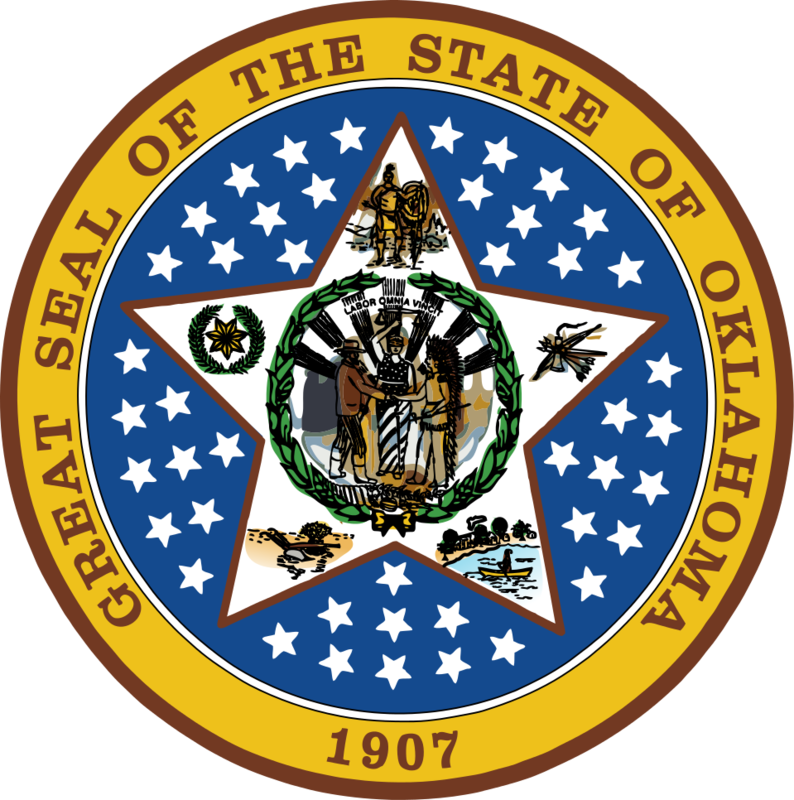 The United States District Court is a part of the federal judiciary, whose judges are not elected by the people of the State of Oklahoma, and it should not be using the seal of that state for its insignia. If this were occurring in Scotland (and if I lived there! ), I’d write the Procurator Fiscal of the Court of the Lord Lyon about this very public usurpation of arms. But it’s not (and I don’t), and there really is no way to enforce the correct use of heraldry here in the United States, much less in the State of Oklahoma. Indeed, they probably assume that because they are physically situated in the state, that it is perfectly appropriate for them to use the Great Seal of that state. They’re wrong, but there is little that I can do about it. Except to sit here, appalled and frustrated, and rail about it to you. Okay, rant over. I’ll go back to my books and find some more heraldry being used appropriately.